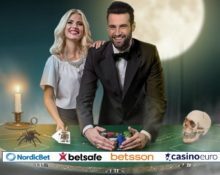 Betsson Group – €31K Live Casino Halloween Feast! Win bragging rights and a share of €31,000 in cash! Attention, all Live Casino enthusiasts and wannabees! 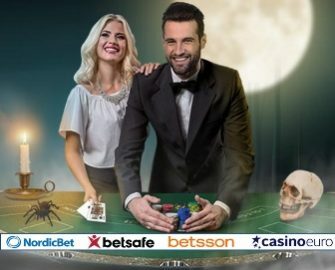 Do not miss this scary-good Live Casino event, taking place across four of the Betsson brands – Betsafe, Betsson, Casino Euro and NordicBet. Play this Halloween weekend on any of their exclusive new Blackjack and Roulette tables by Evolution Gaming and score selected wins on Blackjack and Roulette to walk away with a percentage of the massive cash prize pool. 27th October – 1st November 2017: Pumpkin Smash €25,000 Cash Drop Race – For all those who want to take a break from all the live table action there is a thrilling random cash drop race happening. Have a smashing good time on the new Yggdrasil slot as a treasure chest can appear randomly on any spin, containing one of 1,000 cash prizes worth €10 – €2,000. All prizes are instantly credited with no wagering requirements. Check the tournament tab in the game client for remaining race time and prizes. The cash prize pool will be divided by the amount of qualifying wins, each being allocated an equal share of the €31,000. Players will win cash prizes equal to their amount of collected qualifying wins. E.g. if all players during the entire campaign scored 100 of the qualifying wins, then the €31,000 will be divided in 100 equal shares. 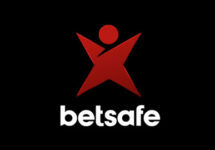 A single player who collected 10 qualifying wins will receive then 10% of the prize pool amounting to €3,100 in cash. All prizes will be credited in cash by 18:00 CET on Wednesday, 1st November 2017 with no wagering requirements. Winners will be notified via their casino inbox. Terms and conditions apply.